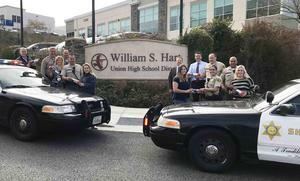 SANTA CLARITA, Calif – The family behind the Keep the Pressure kits placed in every single junior high and high school classroom in Santa Clarita joined with leaders from the William S. Hart Union High School District in presenting kits to School Resource Officers (SRO) to be kept in their squad cars. 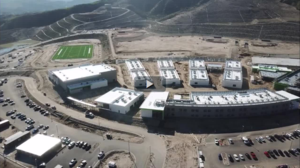 Drone video footage of the Castaic High School building site taken by Castaic High School Construction on March 1, 2019. 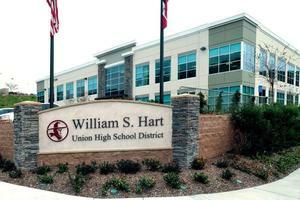 SANTA CLARITA, Calif – Hart High School science teacher Kathryn Smith has been named by NASA and the SETI Institute as one of 28 teachers selected from across the country to fly on the seventh cycle of NASA’s Stratospheric Observatory for Infrared Astronomy (SOFIA). Smith becomes the thirteenth Hart School District teacher to fly on the airborne observatory. 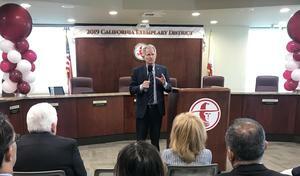 SANTA CLARITA, Calif – State Superintendent of Public Instruction Tony Thurmond today announced that Valencia High School and Rancho Pico Junior High School are being honored under the 2019 Distinguished Schools Program. 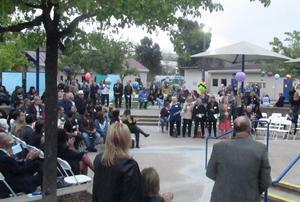 Click the headline to access the Wellness Wheel presentation and links.